Discover the Berlin that inspired David Bowie’s heralded ‘Berlin Trilogy’ on this private, 3-hour tour. Travel back to the late 1970s: a time when the Cold War was on, the Berlin Wall was up and Bowie and Iggy Pop shared an apartment building in West Berlin. Together with a historian guide and your private group, you’ll see Hansa Studios, where ‘Low’ and ‘Heroes’ were recorded; 155 Hauptstrasse, where Bowie and Iggy lived; and some of the clubs and cafes he visited. 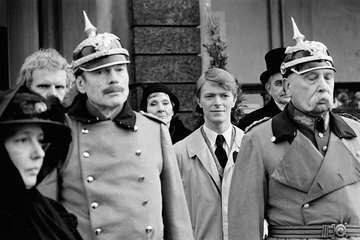 You’ll also gain insight into how the Cold War and the so-called 'Berlin years' influenced Bowie creatively.